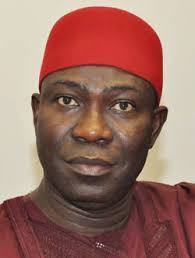 Deputy President of the Senate, Ike Ekweremadu, has advised the nation to look beyond oil to secure economic prosperity for the country. He insisted the days of oil as super foreign exchange earner for the nation were numbered or probably over. Senator Ekweremadu gave the advise at the one year anniversary celebration of the Brickhall School, Abuja, founded by former Chairman, Senate Committee on Education, Senator Joy Emodi. Ekweremadu regretted that while the fruits of massive investment in human capital development made by Late Chief Obafemi Awolowo through free education in the Old Western Region, Late Nnamdi Azikiwe and Late Sir Ahmadu Bello, the Sarduana of Sokoto in the Eastern and Northern region respectively were still being reaped by Nigeria, education has been subsequently neglected to the chagrin of the nation. The Deputy President of the Senate underscored the fact that the way to go for sustainable growth of the country is education from birth to adulthood. He said: “Our economy is in the throes of pain today because we thought the oil windfall would last forever. Even while it lasted, we dismantled all the necessary structures, such as fiscal federalism, that would have encouraged competitive development and massive investment in human capital to enable us maximize our vast potentials as a nation. “Without prejudice to the place of petroleum resources in our national life, we must face the reality that the days of oil as super earner of foreign exchange are numbered, if not over. Those who still look up to petroleum resources for the revival of Nigeria’s weather-beaten economy live in the past and are only building castles in the air. “Prosperous global economies are knowledge-driven and the future only belongs to those who equip their citizens with quality education right from birth. This is a major reason most African nations, including Nigeria, are abjectly poor despite their rich oil and mineral resources, whereas many of their contemporaries, such as South Korea, with very little or no mineral resources, are among the world’s leading economies. “We must look beyond oil; and we must necessarily invest in education if we intend to make any headway. It is not a matter of choice, but a pressing imperative”. While urging other privately-owned educational institutions to emulate the Brickhall School in providing high standard, but pocket-friendly education, Senator Ekweremadu tasked the government and public-spirited individuals and businesses to prioritise support to educational institutions, whether private or public, through the provision of adequate supervision, infrastructure, grants, donations, and tax rebates. He added: “A situation where government is only interested in collecting exorbitant taxes from privately-owned educational institutions, while leaving them to fend for themselves in terms of access roads, security, water, power, and other social infrastructures is exploitative, and also unacceptable because it has virtually driven them beyond the reach of the poor. “Governments should be able to provide subsidized lands and other support in exchange of specific percentage discount for the poor to access privately owned educational institutions”. He commended Senator Joy Emodi, consistently exhibiting innate drive for excellence and national development through the provision of quality education”. “Importantly, Brickhall School has demonstrated that private-owned educational facilities could provide high quality education at affordable cost and devoid of exploitation”, he stressed. In her opening remarks, Senator Emodi, who also urged governments at all levels to invest heavily in education, said she was propelled by her training and the decay in the education system observed during he tenure as the Chairman of the Senate Committee on Education to better the nation’s education sector in her private capacity.